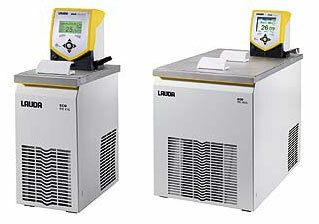 CTP offers temperature control systems from LAUDA. We carry immersion circulators, bath circulators, laboratory thermostats, heating circulator baths, refrigerated circulator baths, cryostats, hydraulically sealed circulators and chillers as well as customized solutions. There are many models with cooling and heating capacities from 100 Watts up to 250 kW allow a professional scale up from research to production! Find out more about our bestsellers which define the standards of temperature control technology. For more than 30 years, the dynamic thermoregulation of the Integral range introduced a revolution in fluid temperature control. Integral Thermostats are the ideal solution for fast and precise thermal control of externally connected applications. In comparison to other circulators, the Integrals offer rapid temperature change and a wide temperature range without fluid change. There are many models to choose from with cooling powers from 1.2 to 45 kW. What ever the application, Integrals provide professional scale-up offering the same stable process conditions from the development lab to production systems. Sealed systems, no fumes, no oil spillage, no absorbing of moisture, sealed expansion vessel for open baths. Integrals can be stored away and the control panel can, via the adapter cable, be located in the workplace. These units incorporate the whole world of the vapor compression chiller: single and multiple step compression, cascade, air and water-cooling. For laboratories and research facilities. Integrals are the leading technology of thermostats. Many applications depend on a reliable source of cooling. Circulating chillers in the Variocool and Ultracool range offer an ideal solution for environmentally friendly and economical cooling in laboratory and industry. There are many air and water cooled models to choose from, with cooling powers from 0,3 to 250 kW. Efficient energy management in all Lauda chillers ensures low operating costs and reduced usage of valuable fresh water. 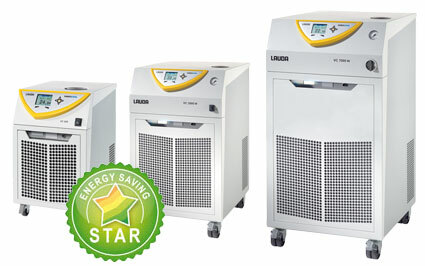 Lauda circulating chillers are a resource saving solution with a quick return on investment. Ultracool’s® are available with cooling powers from 300 watts to 250 KW at 15°C. They can be factory fitted with a heater, and so can cover a temperature range of -20°C to +80°C. Small footprints, robust and service friendly units, modern energy management, simple to use, flexible functionality, modular technology – these are the results of designs without compromise. microcool® and Variocool® are intelligent chillers which are used mainly as an environmentally friendly and economic alternative to tap water for process cooling. Low temperatures increase efficiency and recovery rates in gas condensation processes. In contrast to tap water a desired setpoint can be selected between -10/-20°C to 40°C and controlled with a temperature stability of +- 0.5°C. 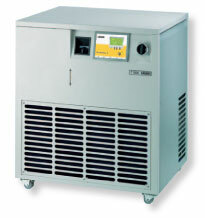 The product range includes many water cooled models, with cooling powers from 0.25 kW to 10 kW. Most models can be factory fitted with a heater. As an option the casings are made of stainless steel to ensure long life and high quality. The circulators are split into Three product lines, the Alpha and the simpler Eco models. Both product lines represent classically constructed laboratory circulators with open baths. Baths and circulators for heating applications up to +250 °C are available, as well as models for heating and cooling applications from -50 °C to +200 °C. Immersion or bridge circulators are suitable for thermal control of existing baths. The Proline, with a temperature range of -90 °C to +300 °C, is the first choice for operation in fume-hoods or integrating into systems.